- Share on Instagram, Facebook, Twitter, Flickr and Tumblr. We always welcome your feedback, comments and suggestions: imagination.unlimited.21th@gmail.com. 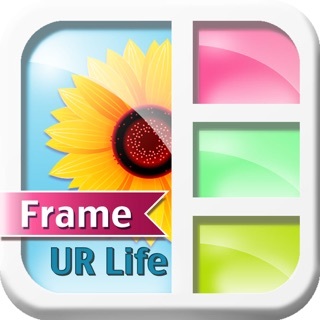 This app worked well for the couple of years that I have used it. However for the last few months, it would upload the photos after selection but not go any further. 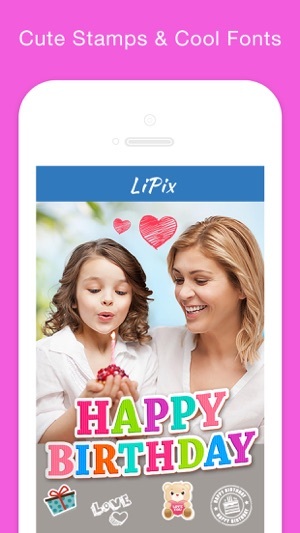 This was frustrating so I used a competitor’s app, but check LiPix first to see if bug had been squashed. Now disappointed that it does not even upload the photos after it acknowledges the number of photos I selected. This is/was my collage app of choice, but wondering if there is a bug fix for this. I have held off reporting the very frustrating intermittent non-uploading of pictures. When you tap on photo library, then tap the “+” sign to open the library, then tap the picture/s you want to upload and only to be returned to the “+” screen again. PLEASE FIX THIS!! 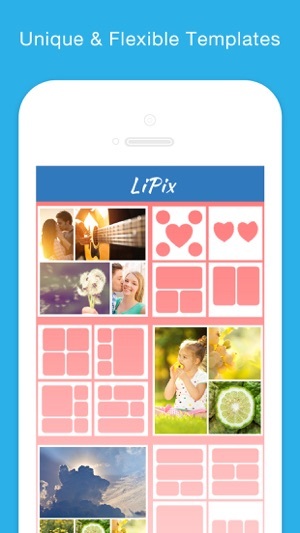 I have tried and do use the competitors’s collage apps, but my preference is LiPix when it works. I love this app, have been using it for a couple of years now. Only problem is....suddenly this app is picky about which photos in my gallery it will open. I have no idea why. I choose the pics I want and sometimes they show up, sometimes one will show up, and other times none of them show up in the collage. I have to back out to my gallery app, take a screenshot of the pics I want (adding more pics to my already overflowing gallery) and hope that those will show up in my collage. Sometimes they do, sometimes they don’t. 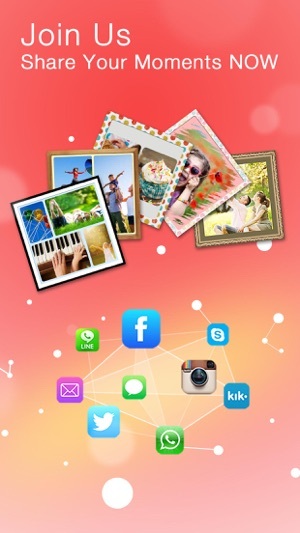 Unfortunately I’m going to switch to another collage app for now and hope Lipix can fix this issue. 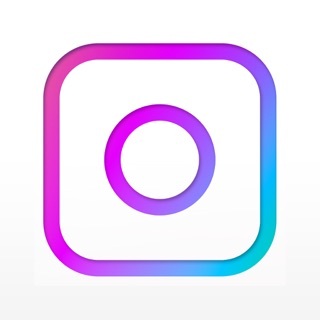 I don’t like Instagram’s layout app. With my New Update, I have to delete this app & reapply it every-time my I-pad has been turned off. But grateful to get this app back again. 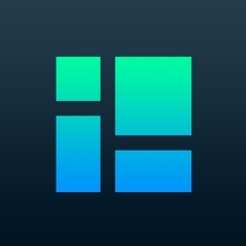 To be able to create from this app is priceless. Would love to pay for this opportunity. 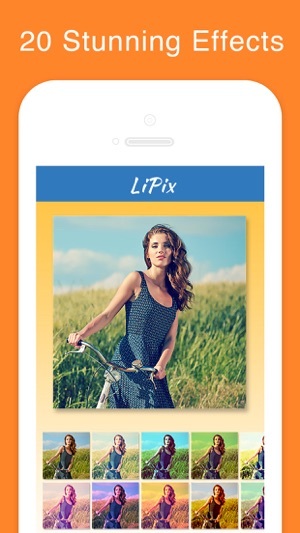 I use another app to give a background color, so my post fits LiPix to make my creation-with LiPix amazing. 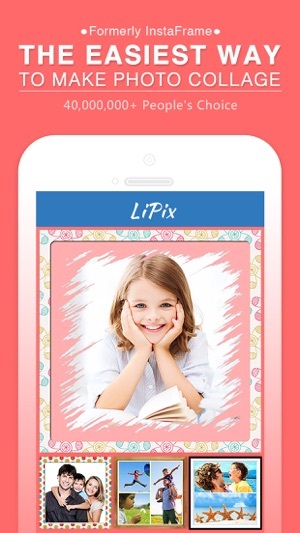 LiPix is the best Text assortment with the best colors & superbly set-up by the developer, easy & fast to use.